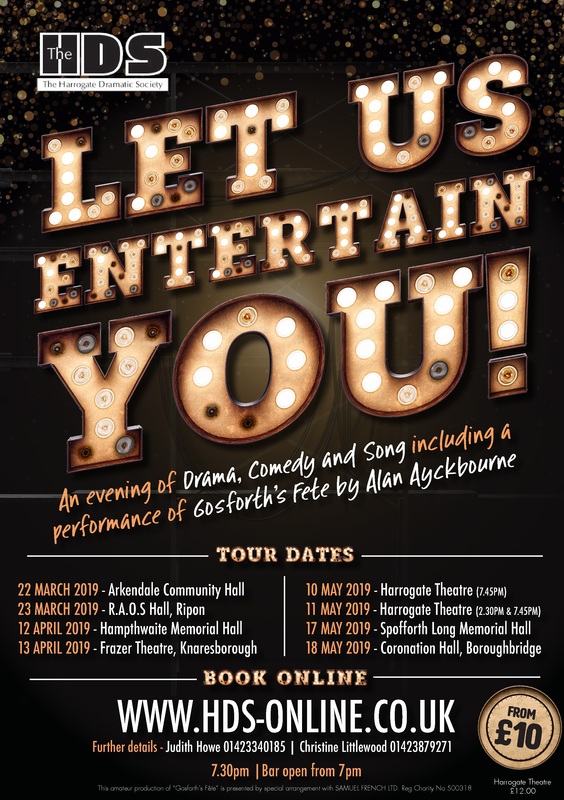 Harrogate Dramatic Society: Let Us Entertain You! 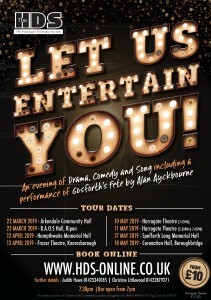 On Saturday 13th April, Harrogate Dramatic Society will be bringing their tour show “Let Us Entertain You!” to the Frazer Theatre. This spectacular show will ensure a wonderful evening of entertainment for all ages. The first half is a performance of the hilarious one act comedy Gosforth’s Fete by Alan Ayckbourn. Set in a typical English village, we are introduced to some extremely amusing and loveable characters, whilst witnessing their chaotic adventures. The second half of the production is a potpourri of comedy and dramatic sketches plus an eclectic mixture of musical performances. Pure enjoyment for all! Tickets are £10 and are available from the HDS website by clicking Buy Tickets above.